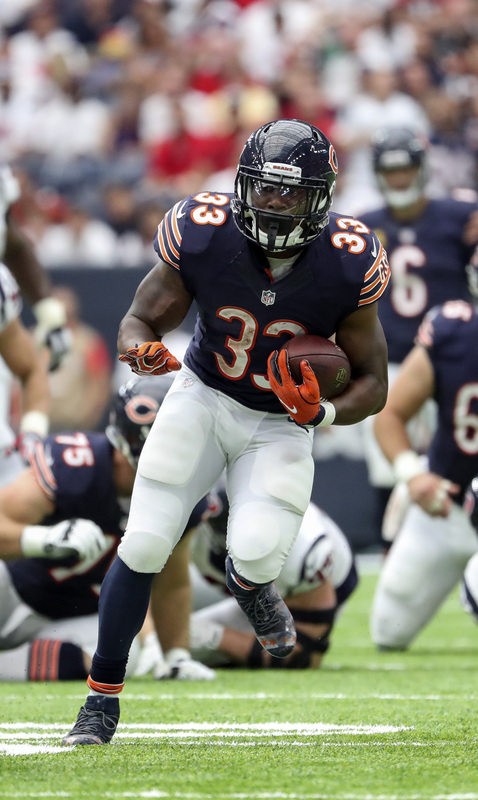 The Ravens placed running back Jeremy Langford on practice squad Injured Reserve, according to a team announcement. In his place, the team has signed running back John Crockett. Langford, once the top ball carrier in Chicago, was released in early September. Somewhat surprisingly, he was not claimed on waivers by any of the league’s other 31 teams, making him a free agent. He joined the Ravens’ taxi squad before the start of the season and even spent one game on the roster before being cut and re-signed to the practice squad. Crockett, also 25, has only two NFL appearances on his resume, both coming with the Packers in 2015. The Raiders announced the signings of running back John Crockett and offensive lineman Kareem Are. The team also confirmed the previously reported addition of linebacker Brady Sheldon. Are was a two-year starter at Florida State and earned an All-ACC Second Team nomination in his final year on campus. He participated in the Raiders’ rookie minicamp in May as a tryout player and, like Sheldon, he finds himself with a contract here in July. Crockett’s initial entry into the league came when he signed with the Packers as an undrafted free agent in May 2015. Unfortunately, he has been slowed by injury in the NFL and was forced to miss the entire 2016 season. He has nine carries for 21 yards in the NFL with all attempts coming over the course of two games as a rookie. As a senior at North Dakota State in 2014, Crockett set school records for all-purpose yards (2,419), rushing yards (1,994) and rushing attempts (368). The Raiders’ roster is now back to the 90-man max following some roster shuffling earlier this month. In advance of tonight’s game against the Lions, the Packers have promoted running back John Crockett from their practice squad, waiving running back Alonzo Harris to make room on the roster, per Rob Demovsky of ESPN.com. Harris has been Green Bay’s third running back behind Eddie Lacy and James Starks for most of this season, but hasn’t seen much action, carrying the ball just four times for 19 yards. Buccaneers cornerback Leonard Johnson was cut from injured reserve by Tampa Bay today, tweets Aaron Wilson of the National Football Post. Johnson, who appeared in all 48 of the Bucs’ regular season games from 2012 to 2014 (17 starts), was waived/injured by the team in September and has been on IR since then. He’ll be free to sign elsewhere if he clears waivers.